Operation Jeremiah 6:16 | Ask for the ancient paths, ask where the good way is, and walk in it, and you will find rest for your souls. ~ Ask for the ancient paths, ask where the good way is, and walk in it, and you will find rest for your souls. 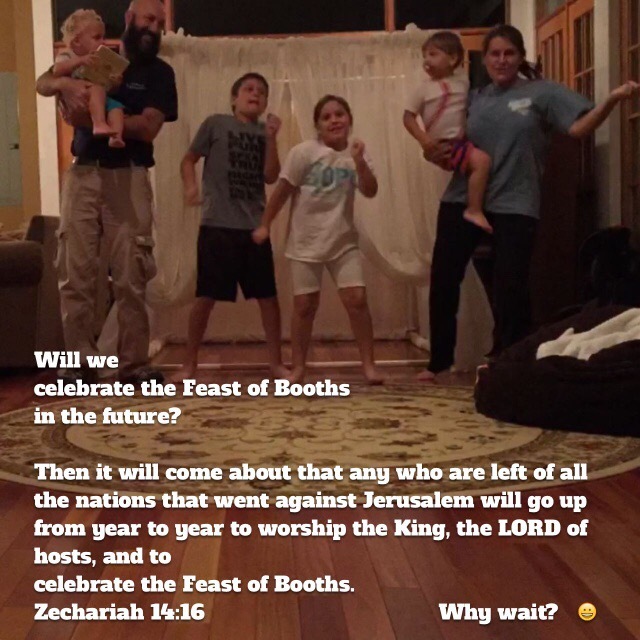 A few notes on the Feast of Tabernacles (Sukkot) (Booths) to answer some frequently asked questions on why our family observes this Biblical holiday every year. 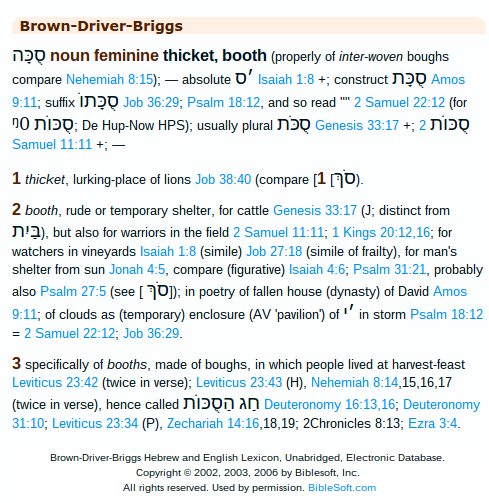 The Hebrew word sukkah (singular) and Sukkot (plural) means booth or tabernacle (Gen. 33:17). 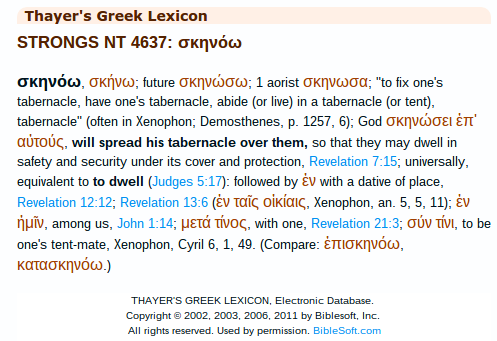 Many scholars believe Jesus was born in a Sukkah, Booth or Tabernacle during the Feast of Tabernacles.In John 1:14, the word “dwelt” is literally “tabernacled” in the Greek (Strong’s 4637 below). He came to tabernacle with us! 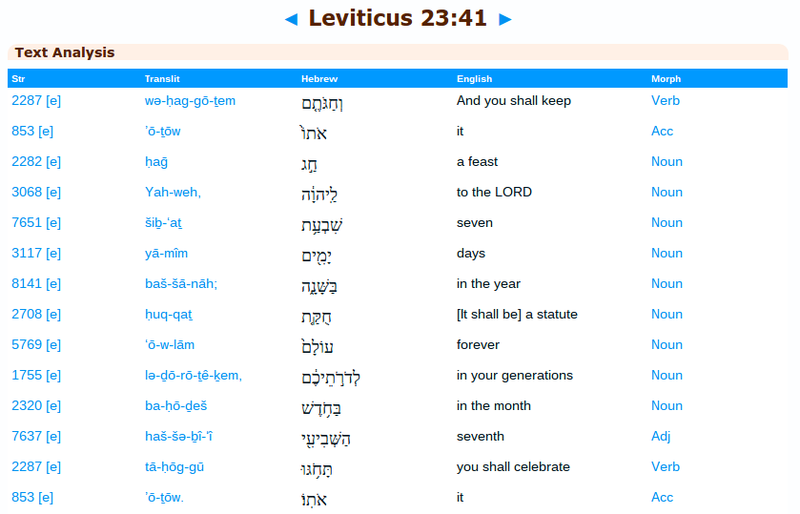 Feast of Tabernacles (Lev 23, Deut 16) is a week-long annual “appointed time” and is a Biblical festival commemorating the 40-year journey of the Israelites in the wilderness and also pointing to the second coming of Christ where we will Tabernacle together in the millennial reign with Jesus as the King of Kings. It is neat to read how His people “rediscovered” the Feast days and experienced a revival and thirst for His Word and desire to obey! This festival is described in Leviticus 23:41 as a statute “FOREVER”; (Strong’s number 5769) and a feast to the LORD (no, not a Jewish only feast) that all believers (including those who are grafted in- Romans 11) will observe even in the end times. (Zechariah 14). Why wait for the End Times? Let’s start rehearsing for His return today!! Let’s get fired up for rediscovering and living out His Word! 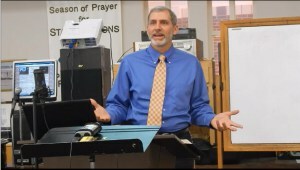 The audio recordings linked below are of an invited guest speaker, Pete Rambo; who was asked to teach on “Jesus in the Old Testament” at a large Baptist church in Lexington, SC. If you enjoy digging into the scripture as much as I do; please check Pete’s blog… You won’t regret it. Tomorrow, Sunday, June 21, marks the last time I will be at Lexington Baptist Church teaching Sunday School. When our series started, I fully expected to only be there 6-8 weeks. Abba had other ideas and I have been blessed to be with this class for 23 or so weeks. Each week was a challenge and a joy as we learned and were challenged to dig deeply into the Word of Yehovah. 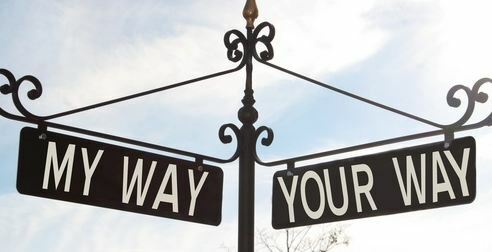 See, I am setting before you today a blessing and a curse — the blessing if you obey the commands of the Lord your God that I am giving you today; the curse if you disobey the commands of the Lord your God and turn from the way that I command you today by following other gods, which you have not known. And you, child, will be called the prophet of the Most High for you will go before the Lord to prepare his ways, to give knowledge of salvation to his people in the forgiveness of their sins because of the tender mercy of our God whereby the sunrise shall visit us from on high to give light to those who sit in darkness and in the shadow of death to guide our feet into the way of peace. And they sing the song of Moses the servant of God and the song of the Lamb saying, Great and amazing are you deeds, O Lord God the Almighty! Just and true are Your ways, O King of the nations! Here is a short write up based on some things a friend showed to me in the book of Hebrews regarding the priesthood. 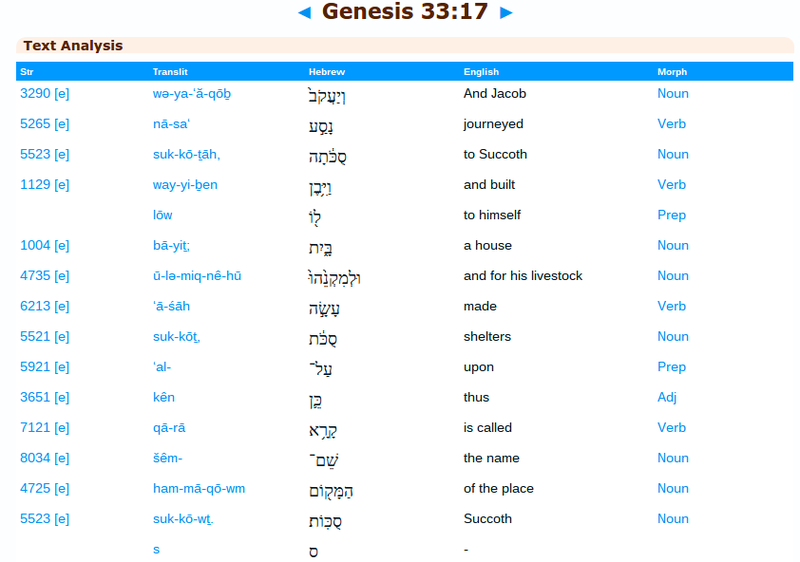 We also see a great example of how important it is to search out what the original language actually says. 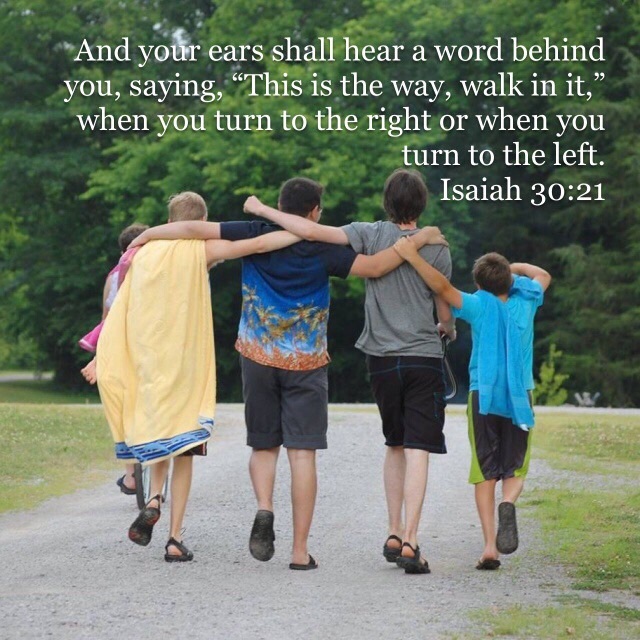 I am forever grateful to the Father and those he puts in my path to help me along the way. I am re-learning with eyes to see, ears to hear, a heart to receive the Word… AKA, the Truth, the Law, the Life, the Light, the Seed…. Jesus the walking, talking Torah! Yeshua!! Here is a great chart found showing which versions are translated more “word for word” on the one end of the spectrum to the more “thought for thought” translations. 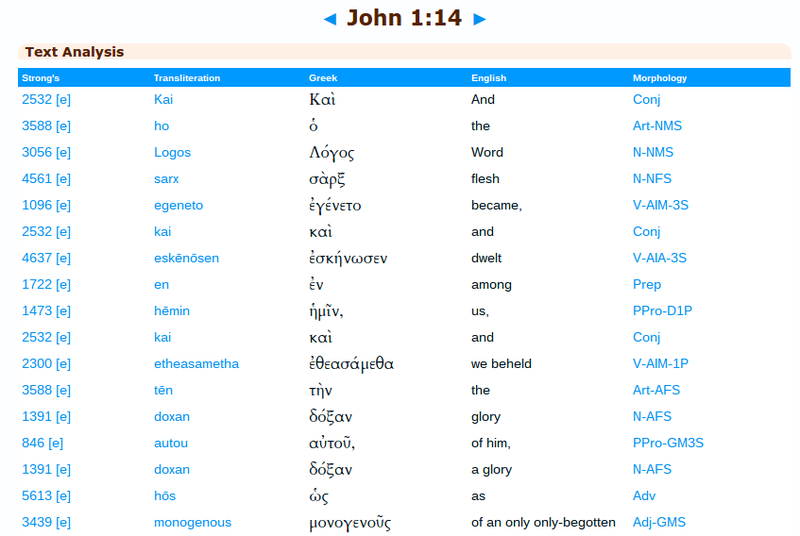 No translation is perfect and we are so fortunate to live in a time to have access to the original language. The study began in January of 2015 and continues even in February so if you enjoy these as much as I do; please check Pete’s blog for potential continuing sessions by searching for Sunday School from his web page at any of the links below.